I am relatively new to investing in the market and am looking for any solid stock recommendations you could give me to look into. I’m not necessarily looking to buy now, but I would like a few stocks to keep an eye on that might be good performers. I am also looking for good reference material that I can use to self-educate myself in trading and the stock market. Securities Analysis – Also by Benjamin Graham. The Intelligent Investor is considered by many investors to be the best book ever written on the subject. You will also find the “Shark Tank” episodes in the video section of Liberty.me. 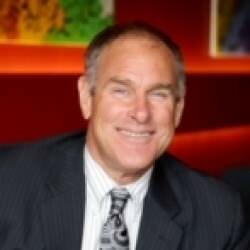 They are run by Rick Rule, our resident expert on investing (and CEO of Sprott Global). They will serve as a good starting point and give you a good insight into the process of evaluating a company. As far as stock recommendations go, there are many sources that you can find information on promising companies. They include Seeking Alpha, Cambridge House, Casey Research, just to name a few. I would encourage you to focus your time on learning how to investigate a company as opposed to looking for recommendations. If anything, a recommendation should be just something that you put on your list for further investigation once you start your research. Was there any specific sector that interested you? Junior mining, technology, agriculture, oil? If you have any questions I’m more than happy to take a stab at them. I also like Harry Browne’s book titled Fail-Safe Investing. There is a new book The Permanent Portfolio based on Harry Browne’s now classic book with updated information related to changes with todays investing opportunities, that I have not read. I also wish I had read the book, A Random Walk Down Wall Street, earlier in my life. Also there’s some great information in past podcasts (click on the “live” icon on the main page) by several different folks on investing. “Timeless Investing Lessons” by Rick Rule was a good beginners’ class, from July 2nd of last year. Do’s and Don’ts and stuff that they have learned from experience. If you like listening to interesting folks’ lessons, there’s a lot available on the site. “I agree with Lincoln’s sentiment. Knowledge and education are potentially earning assets that are easily transportable, and can’t be stolen, or confiscated. After investing in yourself, invest your next tranche in large cap value equities, of the type popularized by Buffett. I prefer mundane businesses with a durable competitive advantage, that trade at less than 6 times ebitda to eneterprise value, ie companies that could go private in six years or less from cash flow. My second tranche would be small cap, deep value stocks, where price cash flow is low, or redundant assets are very high, relative to market capitalization. Don’t speculate, until after ypou have invested, and can take the risks associated with speculation. Note however, that I did not follow all of my own advice. I invested in myself, which has had a very happy trajectory, but then went straight to speculation, for which I am temperamentally and intellectually suited, and invested the considerable proceeds I generated from speculation into a more sensible portfolio..
Good advice. He gets into that same vein in the L.me seminar I mentioned. It’s quite good, if you haven’t watched it yet. I try not to miss anything Rick provides us on here. He is a jewel in this crown. He wrote a book called The Little Book that Beats the Market a few years ago which is well worth the read even if you choose not to follow his “Magic Formula”. Keep in mind that the stocks you turn up on this site will usually be deep value plays with warts. You probably won’t see them highlighted positively on CNBC, so you need to do your own analysis before buying. If you are sure of why you are buying a stock, you will be more likely to hold it as long as your original investing thesis holds up. Also, this site will turn up some dogs with major problems (companies that can go to $0). You have to do your homework. This is just a starting point to find stocks to research, unless you are going to follow his formula which tries to weed out the dogs through diversification over 20 or 30 stocks. I picked up The Intelligent Investor today and can’t wait to start reading it. This is my first post on this site, and really appreciate everyone coming forward to share these great sources of information! You can see the sort of information that people are examining when they are investigating a company. Chris Mayer is also on this sight, and he is a veteran value investor with a great trck record and great teaching skills, friend him!